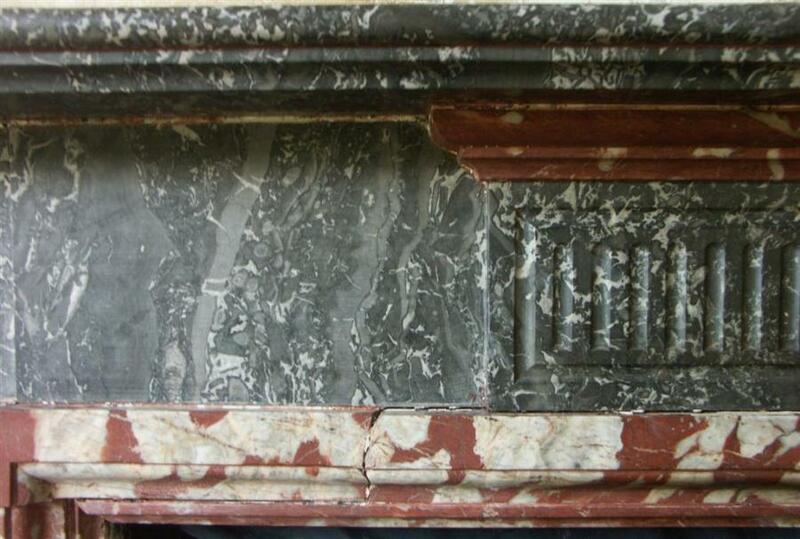 An antique victorian St Annes fossil marble fire surround with rouge marble highlights and mouldings and fluted centre panel on the frieze and fluted lower jambs. 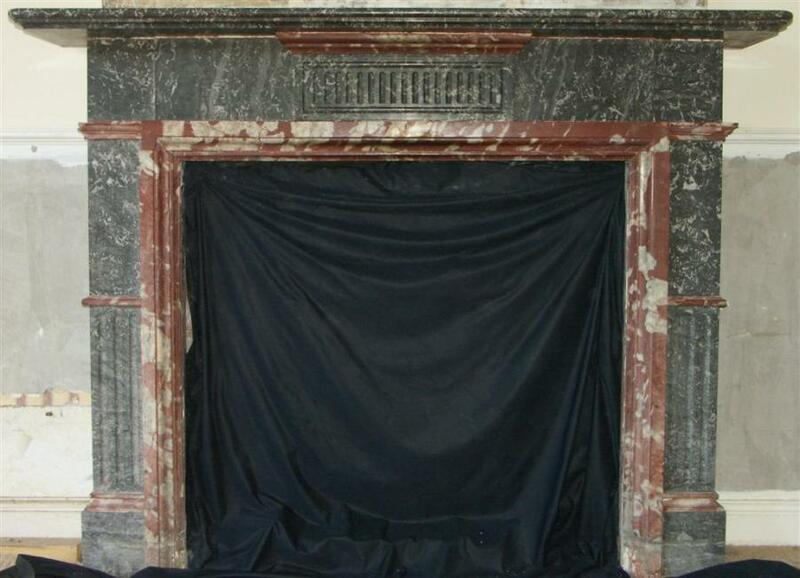 Classical design and pleasing colour. 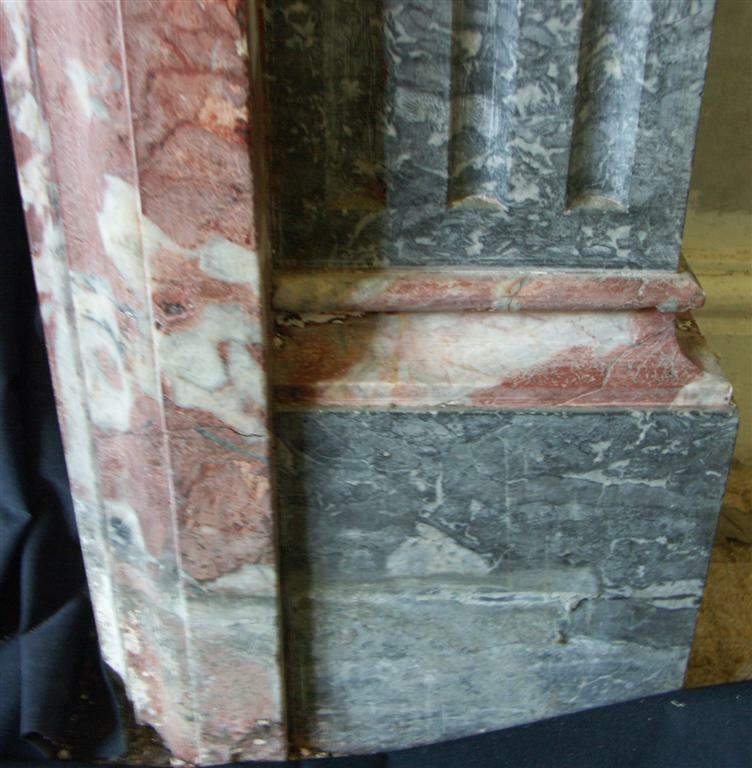 Several breaks in mouldings but complete.Two chips to rouge marble mouldings on left jamb. From a house near Blackburn, Lancashire,June 2007. Further pictures / closeups on request. 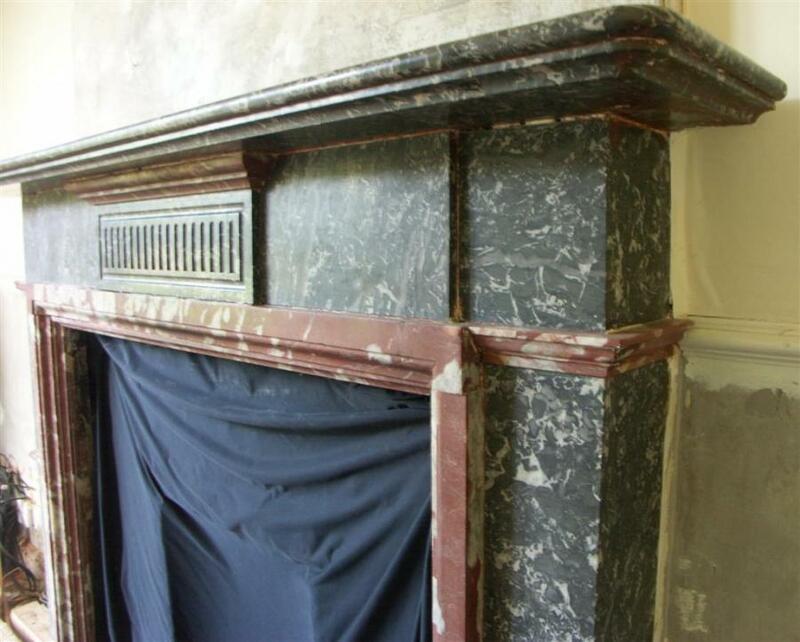 Dimensions in inches: shelf is 65.5 by 11.25, height is 49.75, 58 max body width, opening is 39.75 wide by 38 high, frieze plaque is 19 wide.